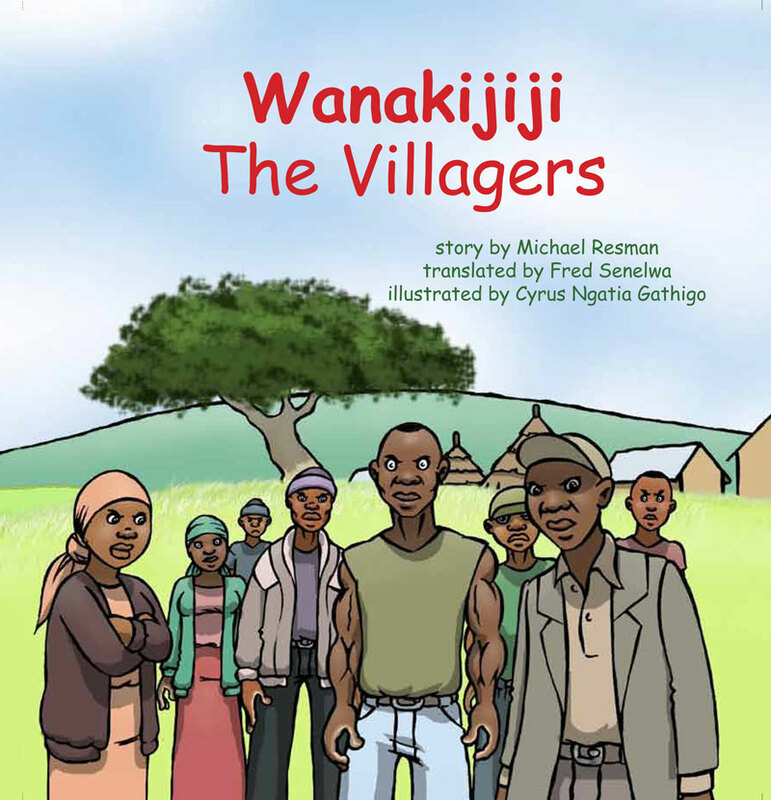 The Villagers was written by Michael Resman, translated into Swahili by Fred Senelwa, iillustrated by Cyrus Ngatia Gathigo and published by Producciones de la Hamaca, Caye Caulker, BELIZE - 40 pages (2012). This is the second book in the Whispers of the Holy Spirit series of children's books. Villagers have been hurt and are preparing to strike	back. Their Story Teller tells them of the oneness	of life and suggests forgiveness as a way to find peace and happiness. Presented in Swahili and English and illustrated in Kenya, this multicultural book shares profound truths in simple language. Appropriate for ages 4 and up.